People leave managers, not the company – this is the conclusion of a Gallup poll that surveyed over one million U.S. employees. As it turns out, a stressful job with a massive workload is not the reason employees choose to quit. Instead, 75% of the people who voluntarily left their jobs did so because their boss was ill-equipped to manage other people. Some bosses are bad managers. Then there are the toxic bosses. They make up a group of their own. Toxic bosses are individuals who, in a variety of ways, depending on the individuals, destroy loyalty, foster insidious fear, and leave team members on-guard, anxious, and calculating to avoid the boss’ toxic ways. So, what can one do with this kind of boss? The options are much fewer with the more severely toxic bosses than with executives who are just weak in one or more glaring but manageable ways. 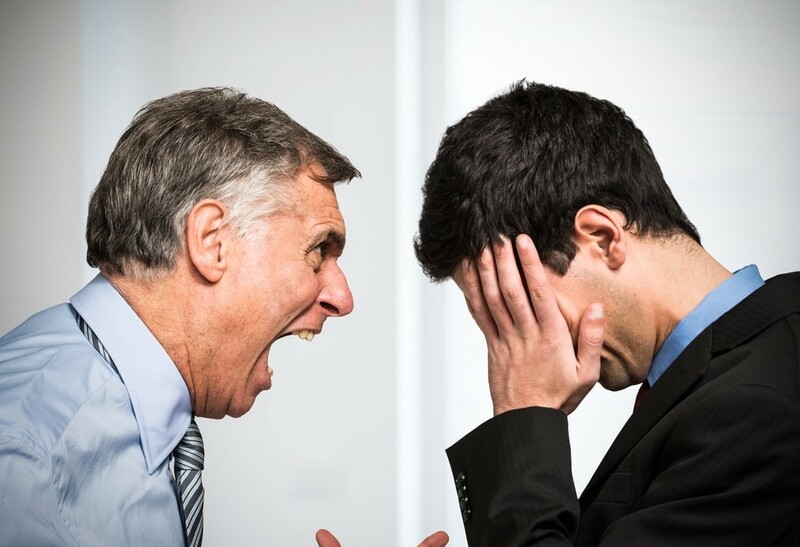 Are You Dealing with a Toxic Boss? In most cases, the signs stand out like a sore thumb. Whether your boss is suffocating you with micromanaging or intimidating with bullying episodes or public strip-downs, it is not difficult to recognize when your manager is the cause of your misery. ➤ You have tried to reach out to your boss to improve your situation but without success. Perhaps there is a moment of positive change, however she/he slips back to the previous bad behaviors. ► Your boss has many “yes-people” around him/her who maintain some minimal level of coordination, job security, power status, and approvals from the boss. First, it is important to be completely honest with yourself: do you need to wake up and “get real” about your situation? Is your situation likely to improve? Do you see a basis for hope supported by evidence that your boss has made positive changes and has maintained these changes over time? If not, your situation with your boss will likely worsen. While she/he may not change, your boss’ effect on you emotionally over time will get worse. Unrelenting, unhealthy stress and anxiety take a toll. Look for signs. If you are honest with yourself, your ability to make decisions will erode. Or errors will increase. Or the quality of your ideas will drop. Or resignation will creep in. Or your day-to-day life will become about survival. You may decide to delay, to give your situation with your boss more time. If you do, then set a decision date. Also, define your non-negotiable indicators you must see at this date in order to continue in your current situation. If these indicators do not show up, then get moving on moving out and moving forward. During this holding-pattern period, identify your manager’s triggers and explore better ways to adapt to them. However, beware of the likelihood that your integrity will erode or take a hit. In other words, do not compromise your minimal requirements for working with your boss. These include: how you are treated (respect), not saying untruths and explicit falsehoods or omissions (honesty), behaving differently with different people (two-faced), feeling intimidated or threatened and “walking on egg shells” (safety, security). These are just a few examples. Begin exploring options for “Plan B”: another better situation with a different kind of boss. This is not a matter of loyalty to him or your company. Rather, this is practical and healthy. 1. Size up your situation: what is changeable? what is not going to change? 2. Clarify what you want and need for yourself to thrive: what should be, and are, your non-negotiable conditions? 3. Define a direction and include an alternative or two (“Plan B”). 4. Set your deadline by when specific changes must show up solidly. 5. Find a trusted colleague with wisdom to discuss your situation and your answers to the above questions. Most important, avoid descending into mediocrity and survival mode by staying in a situation that your conscience knows is and should be unacceptable.